New York : Thomas Dunne Books/St. Martin's Press, 2016. Summary: "On the last day of summer, a young college grad moved to Chicago and rented a small apartment on the north side of the city, by the lake. This is the story of the five seasons he lived there, during which he meets gangsters, gamblers, policemen, a brave and garrulous bus driver, a cricket player, a librettist, his first girlfriend, a shy apartment manager, and many other riveting souls, not to mention a wise and personable dog of indeterminate breed. 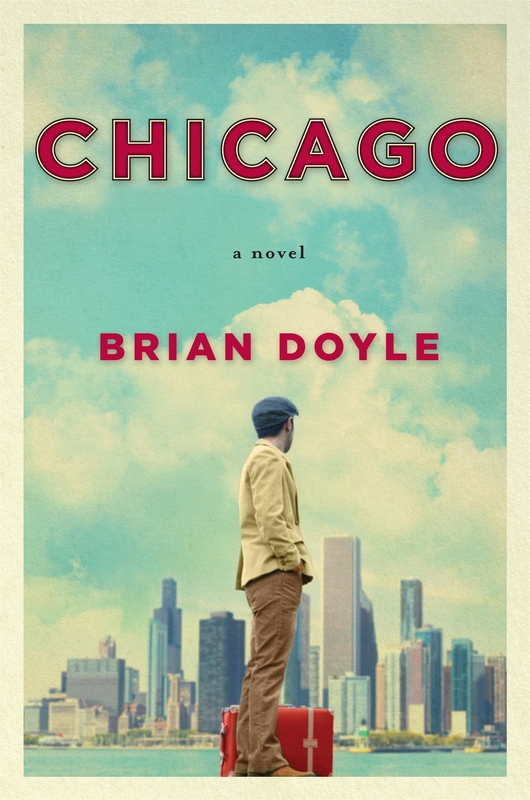 A love letter to Chicago, the Great American City, and a wry account of a young man's coming-of-age during the one summer in White Sox history when they had the best outfield in baseball, Brian Doyle's Chicago is a novel that will plunge you into a city you will never forget, and may well wish to visit for the rest of your days"-- Provided by publisher. *Starred Review* Newly graduated from college, a young man takes a magazine job in Chicago and moves from the Northeast to the Midwest. Pursuing a dream, he takes an apartment right on Lake Michigan in the north of the city and for over a year explores Chicago and its people with an insatiable curiosity and an open heart. His boss at the magazine, the driver of the bus he frequents, and the gang members he plays basketball with all impart to him a greater understanding of life, but his greatest friendships are made even closer to home. In his own building he finds a common interest with neighboring sports fans during a great White Sox year and also nurtures a deeper connection with the genuine and honest superintendent and his mysterious but insightful dog. This heartfelt collection of vignettes is woven together by the narrator's earnest love of life and people and his desire to grow in his surroundings. Through the lens of one man's first foray into adulthood, Doyle (Martin Marten, 2015) pens a moving ode to the city of Chicago and the singular nature of its people. A warm and entertaining journey of discovery with occasional amazing quirks. Copyright 2014 Booklist Reviews. Luminous and sensitively rendered accounts of the interface between humans and nature, Doyle's Mink River, The Plover, and Martin Marten are among my favorite novels, and they're loved by folks in the Pacific Northwest as well; all three featured on the Pacific Northwest Book Association's best sellers list. In a departure, here Doyle follows a young college graduate to Chicago, where he acquires his first girlfriend and meets intriguing souls from gangsters and policemen to a talkative bus driver and a charming dog. [Page 62]. (c) Copyright 2015 Library Journals LLC, a wholly owned subsidiary of Media Source, Inc. No redistribution permitted. Beneath a scarlet skySullivan, Mark T.